Several months ago I sent an informal survey asking readers what they wanted to learn about. Naturally, integrative oncology and all things related to self-care, self-advocacy and lifestyle approaches topped the list. But fear and anxiety about financial uncertainty in the face of expensive, ongoing care was a recurring theme. As I was doing research to prepare an article on the profound financial aspects of being a cancer patient and survivor, I came across Dr. Nancy Novack. Dr. Novack is a clinical psychologist, cancer thriver, and an expert on the financial uncertainties that often accompany a cancer diagnosis. Through her organization Nancy’s List, she generously shares where resources and money exists to support survivors—resources she was unaware of when diagnosed in 2004. It is my sincere honor to share with you Dr. Nancy Novack as the first guest author on this blog. When I sat through many many, too many, chemo sessions at Stanford Cancer Center, I often spoke with the patients in the infusion center. Cancer provokes many things. One of the most interesting rewards of having cancer is the immediate intimacy that develops between patients and their families. They were kindred spirits. They inspired me. They changed forever my purpose and my passion. At the same time they were grappling with their fears and uncertainties about living and dying, they told me that they were extraordinarily concerned about their financial resources, or the lack thereof. Their anxiety was strong and palpable and filled the conversation. They worried about telling their employers about their diagnoses, and perhaps losing both their incomes and their jobs. They worried about not being able to pay for basic living expenses and having to choose between taking medications and more treatments or, instead, feeding their children. If they had insurance, they worried that their policies were not sufficient to cover their treatment costs. Those who did not have insurance were so anxious that they would be denied treatment and die. And, worst of all, patients were afraid that if they discussed their financial fears with their doctors, it might compromise their treatment. Doctors would not know that their patients did not take their pills as prescribed or even chose to avoid follow-up therapies or tests. My fellow travelers were so intimidated by the medical profession…and oftentimes they withheld the truth. I worried about them. How would their very real fears affect the possibility of their recovery? Would they die? I made a vow to make a difference for these people. The strain of being in a financial crisis truly gets in the way of the healing process. In my professional opinion as a clinical psychologist, with my primary focus on cancer patients and those who love and care for them, addressing financial concerns must be a top priority to relieve the patient of undue stress. 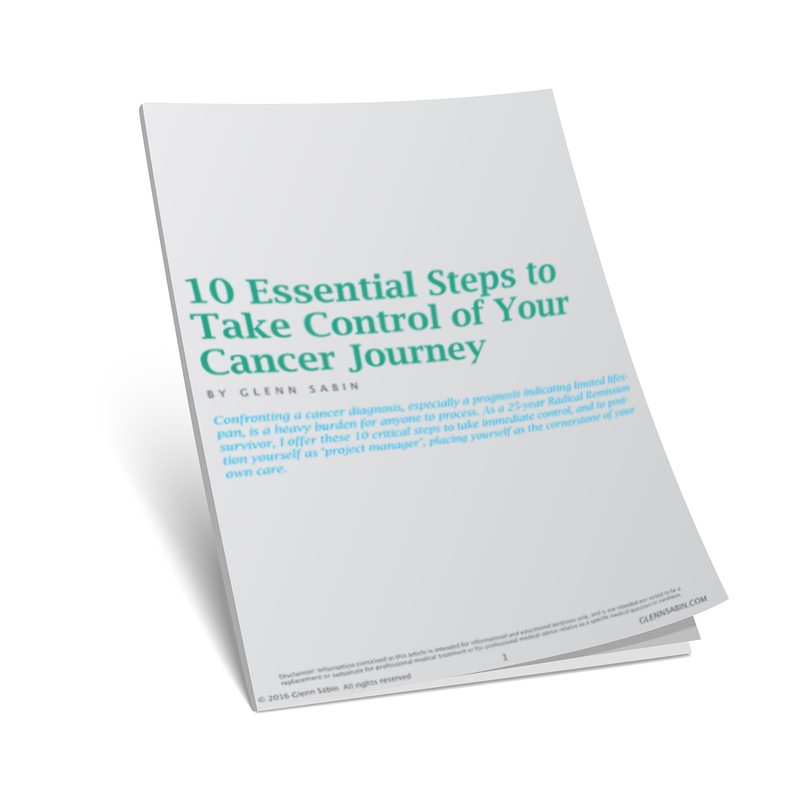 The patient is overwhelmed by the diagnosis of cancer so it is imperative to have a personal friend or a professional take care of the imminent financial issues as soon as possible. Ideally, a person who is on the patient’s support team will have the savvy to take on that daunting responsibility. That blessed individual needs to immediately make a relationship with the social worker or financial advisor at the treating hospital. It is my personal experience that many professionals, albeit caring persons, are overwhelmed with the needs of their patients and they do not have the time to do research for each individual case. This is all hindsight and wisdom gained from my own personal financial upheaval. I too worried big time about money. Although I had a fancy individual PPO with Blue Shield, and I thought it was sufficient, it did not cover many of my expenses. I needed more CT scans than they would pay for. I ‘flunked’ many blood tests and couldn’t maintain the chemo schedule as prescribed. This became quite problematic. I needed drugs to boost my white cell count. This is when my drama and trauma hit the fan. My insurance company would pay for the shots to boost my white cell count if I were to go to Stanford every 12 hours for 10 days after each chemo session to receive the injections. But it would NOT pay if I had an oncologist at a nearby hospital ‘shoot me up’. I opted for self-administering the shots since it was unlikely that I would have the energy to make the 2-hour trek each way to Stanford every 12 hours. I never asked about the costs of my treatment. No financial counselor at Stanford ever spoke to me. I didn’t know that service even existed. I assumed my care was my full responsibility. I never asked. I hope you will learn from my mistake. I went wild when I received an outrageous 6-figure bill. I am not kidding. I was fortunate to own (well, almost) my home. I took out a second mortgage. I had momentary glee that I qualified and could pay for my amazing care at Stanford. I certainly feared the obvious: how would I ever pay it off? I doubted I would have the energy after treatment to resume a full psychotherapy practice. And I didn’t. Ultimately, I needed to sell my beloved house to pay for the loan. Bad news. When that dreadful moment came when I had exceeded the amount of my second mortgage, I (very) belatedly negotiated with Stanford. After a very simple process of giving them a few pieces of financial information, I was sweetly informed that I would never receive another bill from Stanford. And I never did. Please pass this bit of wisdom along to your friends, patients (if you are a physician) and friends. And please, be aware that vendors and hospitals will negotiate anything with you, including co-pays, medications, equipment, hospital stays, tests, scans. They just don’t announce that to the public. Very disturbing, yes. Some years later, I was counseling a very young cancer patient who was being treated at the University of California San Francisco. She had no financial resources and a huge bill. I encouraged her to walk into the administrative office, bill in hand, and say, “I will pay you $5 each month for the rest of my life.” They accepted that agreement. She then could focus on her healing. I filed for my 501(c)(3) non-profit status in 2006 and launched my first website. 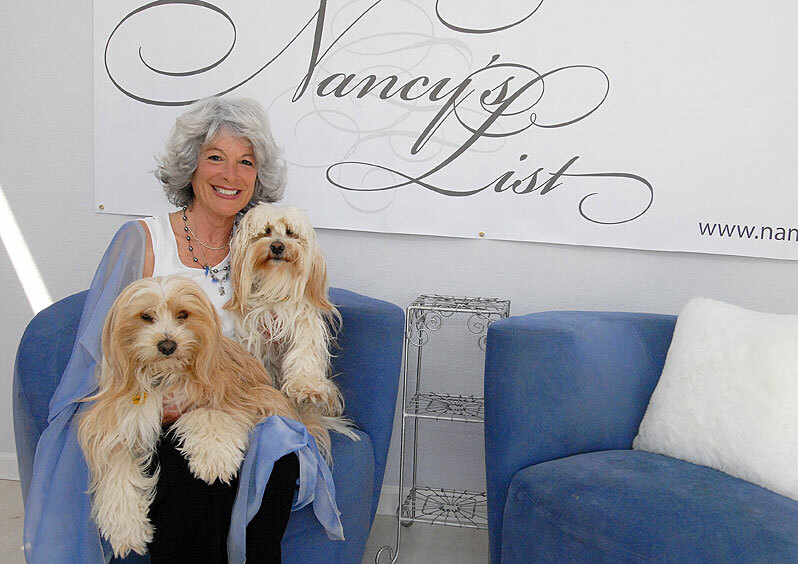 Nancy’s List was intended to be simply a big fat list of financial resources. I wanted to find the money and I wanted to relieve everyone who is overwhelmed by this financial burden. Some call it ‘financial toxicity’ to describe the dire health impact of the soaring costs of cancer treatment. My research began. And I am an obsessive researcher. My ‘first stop’ was the Patient Advocate Foundation. I told them my experience. They assured me that, had I contacted them while I was administering the medication, they would have helped me to find funding. I had simply waited too long to make the call. Please, if this is your story, call the resources listed in the Financial Assistance section of my website when you need help. Don’t wait. The help is out there…we just need to make the call. Tell your family, your friends, your patients. My next big step was/is to reach out to the leaders in the cancer community, to doctors and nurses and social workers, to navigators and advocates, and to cancer patients and their loved ones. I want to let them know what I found on my scavenger hunt and to share the information with the many people who need it…now. I was shocked that I didn’t know about any of these opportunities to alleviate my own angst when I was going through treatment. I was more than surprised that so many social workers and patient navigators did not have the information either. They were familiar with some of the listed resources to help with living expenses but many were not aware of the many possibilities for assistance. Very few were aware of the programs that I truly love, including free summer camps all over the country for kids who are living with cancer, the numerous free retreats for men and women and families, the tons of scholarships sitting there awaiting applications from patients who wish to further their educational opportunities and who are either patients or survivors themselves or have lost a parent to cancer, the enormously generous wish fulfillment programs to grant wishes to children, young adults, and grown ups. I call these the “quality of life” offerings. There are many very generous angels in the world who want to share their resources. We can no longer be fearful about the lack of money. We simply need to educate and empower ourselves, our patients and their families, and our cancer community that assistance is available. Make the call. Don’t even bother to see if you match their criterion for the grant or scholarship or free retreat or summer camp. There are many deeply caring people in the cancer world who are more than eager to be helpful. I call them the “angels” and I am forever grateful. This was my response to these powerful conversations between strangers in the infusion room at Stanford. On my website NancysList.org, I present possibilities to those who are living with cancer, be it their own diagnosis or that of someone they love. I have organized this comprehensive list as best I can. Not perfect, lots of overlapping, but it is the best I can. Resources specific to African Americans, American Indians, Asian Americans, Children, Latinas/Latinos, LGBT, Teens and Young Adults. Free summer camps all over the country for kids who have cancer, their siblings and families, as well as for kids who have lost a parent to cancer. Programs for children and adults that offer wigs, massage services, job retention and career counseling, assistance with health insurance premiums, food banks, immigration and refugee services, mental health counseling, house cleaning, meals, financial education, fertility preservation, emotional support, payments for heating or cooling bills, mortgage and rent assistance, nutritional programs, and more. Unique public and private organizations whose mission is to provide free, or significantly reduced cost lodging to patients and their families while receiving medical care away from their home communities. Each pharmaceutical (drug) company has a patient assistance program for medicines for free or at a savings. Some public and private programs let people buy drugs at discounted prices. Others help people who can’t afford any part of their medication costs. Clinical trials for promising cancer drug therapies offer free or reduced cost prescriptions. Cancer is an enormous challenge. Sometimes, the best choice is to just get away from reality and take some precious time for being inside yourself and getting your bearings. It can help to have the support of other cancer patients who are also focused on whole-person healing. It is absolutely amazing how just the right group of like-minded individuals seem to coincidentally come together when healing is chosen—and each receives exactly what he or she needs to move forward. There is a wide range of organizations and advocacy groups dedicated to helping anyone ‘living with cancer’ afford a college education. This applies to cancer patients and survivors as well as to their children and to students who have lost a parent to cancer. These awesome programs help to ease the emotional stress, physical discomfort and financial burdens of travel for cancer patients by arranging free flights to treatment centers. In most cases, eligibility is open to all cancer patients and is not based on financial need. Financial assistance programs for specific diagnoses. These amazing organizations offer children and adults the chance to have their wishes come true. Such dreams may include a family vacation, attending an event, purchasing a desired item, or meeting someone special. Whatever the wish, these heartfelt organizations aim to help people with advanced illness enrich the quality of their lives and create meaningful memories. Disclaimer: I share my personal experience because I want every cancer patient to be wiser than I was. There are excellent alternatives to going broke. We lose a lot when we have cancer. And we may find that we have gained some very extraordinary things. My healing has continuously been about opening my heart to possibilities, always knowing there is hope. 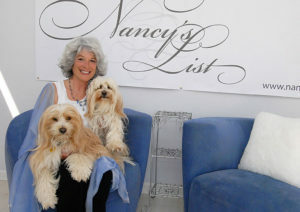 Nancy’s List is my gift to the universe…with profound gratitude for my recovery and my amazing life.